Ritual cycles individuals in Nepal pass through were the subject of the project A2. The archive comprises photographic and other material accrued over several years. The members of the project did research in two teams in different local and ethnic contexts in Kathmandu Valley. 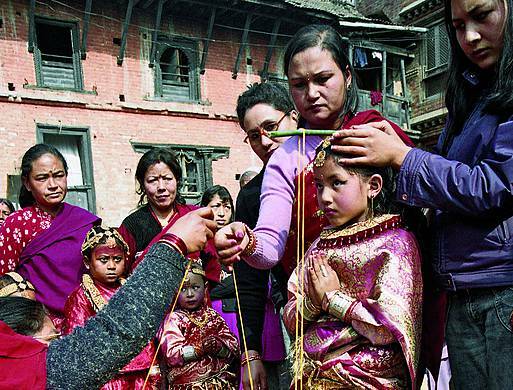 Firstly, the rites of passage of the Newar of Bhaktapur and Patan were studied, for instance the first feeding of solid food (maca jakva), the various initiation rituals for boys (busã khayegu, kaytapuja, bare chuyegu) and girls (ihi, barha tayegu), the marriage rituals (vivāha) as well as death and ancestor rituals. In addition to photographs taken by the researchers, the archived material of this sub-project consists of more general pictorial material and maps relating to the topography, architecture and social structures of the city of Bhaktapur. 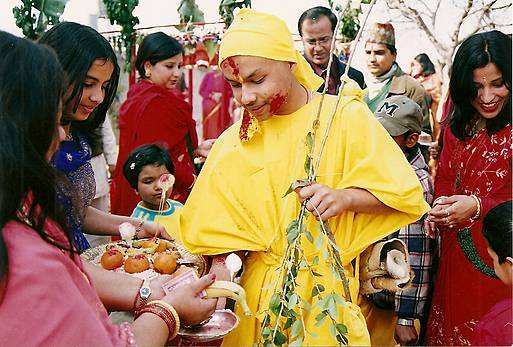 Secondly, life-cycle rituals of the Parbatiya (or Parbate, also known as Bahun and Chhetri) in Kathmandu were investigated. The archive contains a representative selection of photographs taken between 2006 and 2012 in rituals such as the name-giving (nvaran), the initiation for boys (vratabandha), the marriage (vivāha) and its ritual preparations, the marriage of the tulsi plant (tulasivivaha) or the marriage with the water pot (kumbhavivaha). 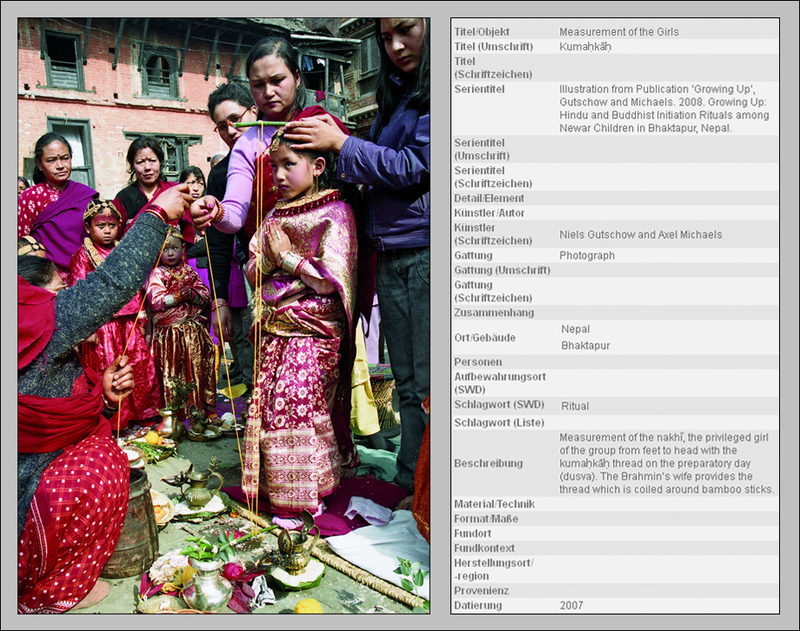 Metadata has been added by Tessa Pariyar, Markus Pastollnigg, Nirmala Sannyashi, Astrid Zotter, and Christof Zotter. Taking measurements of the girls - Kumaḥkāḥ (photo: Niels Gutschow & Axel Michaels, 2007). Collecting alms (photo: Astrid Zotter, 2006).